IT was a busy afternoon at the third Black Forest Lodge fixture of the season with a total of 83 runners contesting the seven races. Byerley Bear extended his unbeaten run to four this season with a fluent success over Mobaasher and Numbercruncher in the Ladies’ Open in the hands of Leanda Tickle. Nine-year-old Byerley Bear evidently relishes soft ground, and is currently the leading point-to-pointer in the country. Jumping soundly, the tough chestnut drew right away in the closing stages to land the AGA sponsored prize. Byerley Bear was giving his Thorverton based trainer Robert Chanin his eighth winner of the season. This quickly became nine as the progressive youngster Welstonedruid, owned by Andrew and Sue Knox, stayed on strongly to notch his third win of the season in the Intermediate with the trainer’s son Ian in the saddle. “This horse is so lazy at home but he stays and gallops on the racecourse which is what really matters,” explained the trainer. Iron Chancellor followed up his Wadebridge victory four weeks ago with a solid performance to take a good quality Confined event. Sue Popham trains this former winning chaser for the Harperswood Partnership at West Buckland near Taunton. Iron Chancellor’s successful rider Michael Legg went close to scoring a double for the same yard in the 16-runner Men’s Open, but his mount Swansbrook could not quite peg back the front running Nobby Kivambo. The winner is owned by Jason Warner and trained by his jockey Mark Wall, and had travelled from the Cotswold Vale Farmers country. Nobby Kivambo kept pulling out a bit more after looking vulnerable jumping the third last. “I have had him since he was two years old and he kept going up in the handicap when he was with Brendan Powell under rules. We will stick to point-to-points now,” commented the owner, who is joint master of his local hunt. Level Spirit came back from a two year break to win the Restricted at 10-1 under Robbie Henderson. Although described on the race card as 14-years-old, Level Spirit is only nine. The HeronIsland gelding won his Maiden in Ireland but was injured on his first run in this country. “We thought he may have needed the run today,” said his Ottery St Mary based trainer Ed Walker. Despite a few drizzly outbursts it was fine during the afternoon despite the odd rainbow appearing over the Devon skyline. The ground was proving quite tiring however by the time the concluding maiden races took place. Given a patient ride by Matt Hampton, Thetalkinghorse came through to lead at the third last to score in his division. The well bred six-year-old is trained by Keith Cumings at Bishops Nympton, and is owned jointly by Hannah Broggio and Janet Cumings. “We got him at the Derby sales in Ireland two years ago and he is still learning,” said the trainer. The Glamorgan gelding Canshetrain was heavily backed in the other division, but was pulled up after racing keenly early on. The prize still found its way over the SevernBridge however thanks to Bob the Butcher who was having only his second race in the colours of David Brace. Bradley Gibbs sent Bob the Butcher clear round the final bend to score easily, but it may pay to keep an eye on the placed horses Way Before Dawn and Gift of Dreams who each finished with a flourish. There seemed little sense in opposing BYERLEY BEAR (4-7 touched 4-6) in the Ladies’ Open, but there was a gamble on ISLAND LIFE who was backed into 3-1 from an opening show of 8’s. This appeared to be optimistic since Island Life had been beaten out of sight behind Byerley Bear at the Silverton. . In the event he finished fourth behind the favourite this time, with Mobaasher (runner up) providing an action replay of the Silverton result. UN AMI had created a favourable impression in his two English points after showing promise in France. 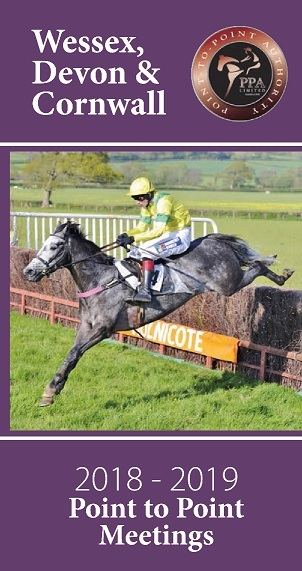 This good looking grey was always tight in the Restricted betting and 11-10 on soon became 6-4 on. He got very tired in the sticky ground and was probably feeling the effects of his recent exertions when his young rider pulled him up before the last. He deserves another chance in similar company. There was good support for DANDAN (6’s to 4’s) and GEORGE REID (14’s to 10’s) in the Restricted, with GEORGE REID and Nick Williams doing their best to shake up the eventual winner LEVEL SPIRIT who was easy to back at 10-1. Although the punters struck first with IRON CHANCELLOR (5-2 into 2’s) the bookies came off best in the afternoon with only two winning favourites out of seven. 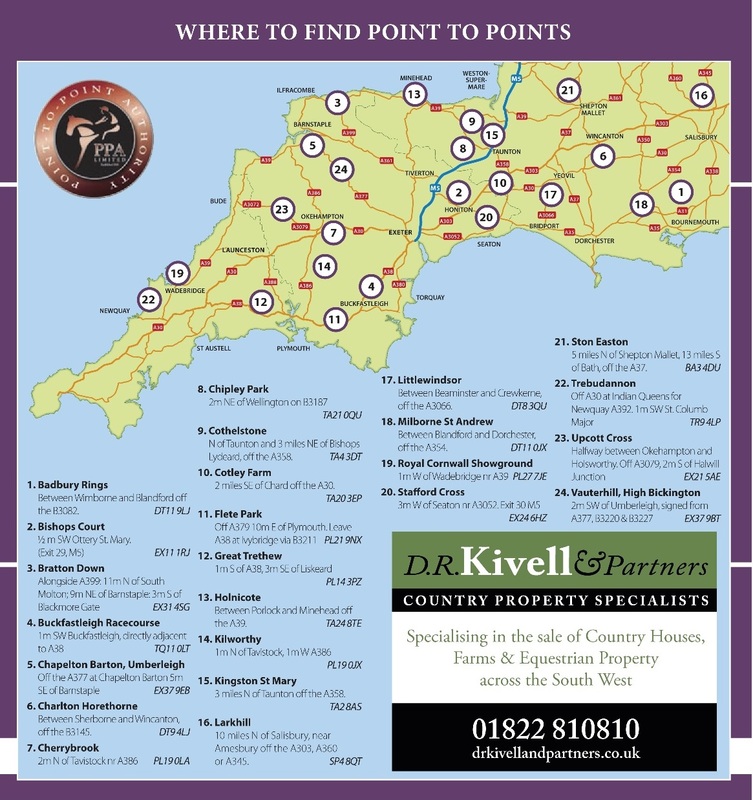 Saturday 8th February, Western Point-To-Point, Wadebridge.